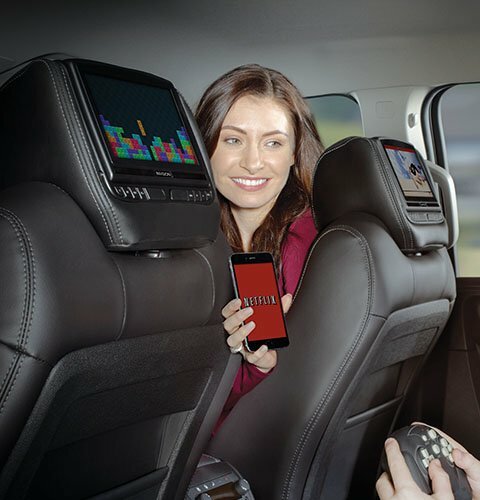 Invision is a leading manufacturer of rear seat entertainment, supplying the largest vehicle-specific product lines directly to automotive oems & car dealers alike. 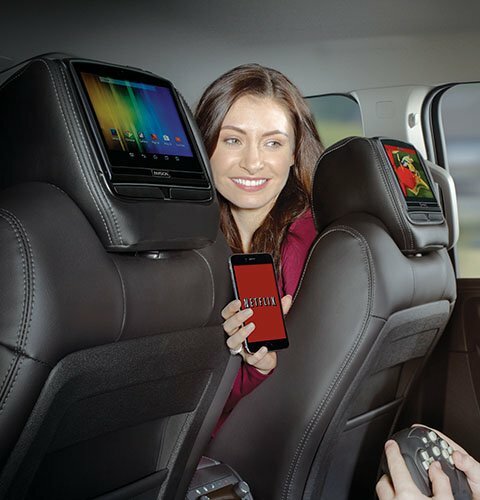 INVISION™ 8" Touch Screen Headrest Systems integrate tablet technology withour Custom Headrest DVD systems. We designed the Android operating systems to be non-removable to eliminate any concern of damage by taking what would be a standardtablet in and out of a vehicle. Our new ConnectedHD 8" system outperforms (HDMI & USB ports) the competition in qualitystandards and meticulous attention to detail. INVISION™ always adheres to Federal MotorVehicle Safety Standards, while perfectly matching vehicle-specific interior and electrical requirements..
Our new ConnectedHD 7" system outperforms the competition in quality standards andmeticulous attention to detail. INVISION™ always adheres to Federal Motor VehicleSafety Standards, while perfectly matching vehicle-specific interior and electricalrequirements..